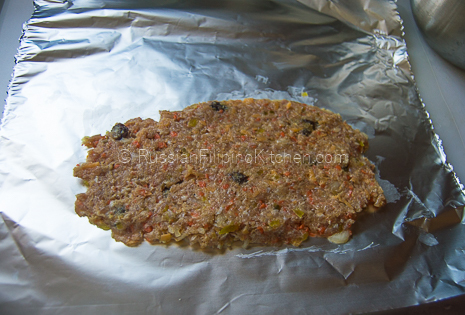 This classic Filipino-style meatloaf is one of the easiest recipes that you’ll ever learn how to make. 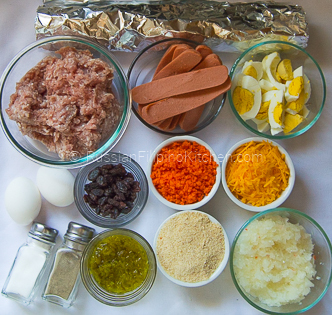 You just prep the ingredients, combine everything except the boiled eggs and sausage, scoop the mixture into individual aluminum foil wrap, place sliced eggs and sausage on top, roll into logs, seal the edges, then leave them steaming for an hour. “Embutido” is a Spanish word that refers to a sausage, usually made from pork and spices wrapped in hog casings. 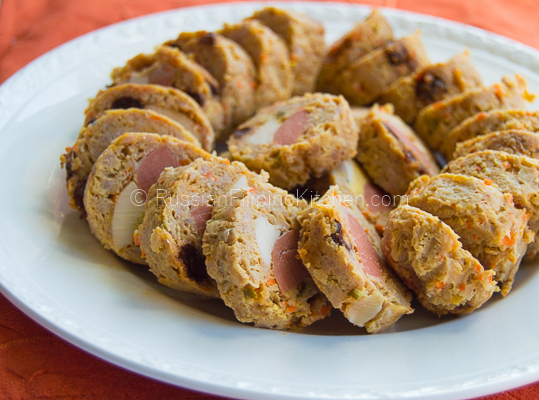 Filipino embutido can be made from any type of ground meat, but using pork is very popular. Pork embutidos are mostly prepared during special occasions. They can be served as is, pan fried, or breaded to give it extra texture before slicing into serving portions usually with ketchup or any dipping sauce of choice. The following recipe is how I make pork embutido for my personal consumption or when I have other Filipino friends coming over, making it as close as possible after my mom’s recipe. But when I’m making them for family or other non-Filipinos who doesn’t like raisins, I changed the ingredients a little bit to suit their taste. Feel free to tweak this recipe and make it your own version. 1. Fill steamer with about 8 cups of water and bring to a boil while you make the embutidos. 2. In a large mixing bowl, combine all the ingredients except the sausage/hotdogs and the boiled eggs. 3. Lay flat aluminum wrap. It doesn’t matter which side up, but for personal preference I like the shiny side facing down. 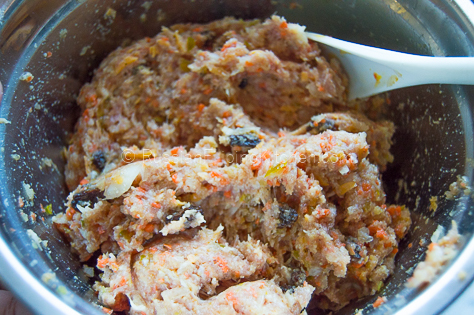 Divide meat mixture into 4 equal parts. 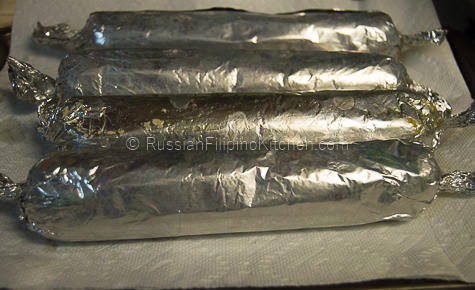 Scoop each portion onto the foil and place about 3 inches from the bottom edge. Spread and press down with a spatula to flatten. 4. 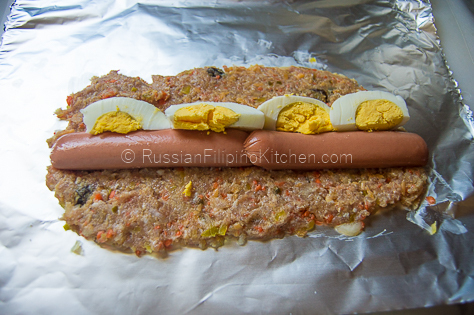 Arrange sausage/hotdogs and sliced boiled eggs on the center of meat mixture. 5. 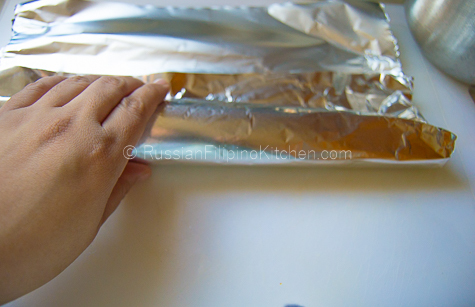 Use both hands to roll the foil away from you, tightening the roll as you go. 6. Pinch both ends to seal. 7. Repeat steps 3-6 until you’re done wrapping all the meat mixture. 8. 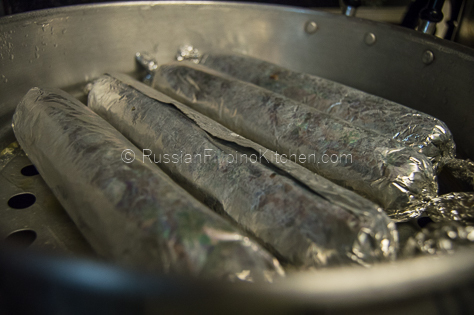 Arrange embutido rolls in the steamer and steam over medium heat for an hour. You’ll know it’s done when juices ran clear when you prick the rolls with the tip of a knife. 9. Remove from steamer and allow to cool. Refrigerate for at least 2 hours (overnight much better) for easy slicing. 10. Unwrap foil, slice to desired thickness, and serve with ketchup or your favorite dipping sauce. Fill steamer with about 8 cups of water and bring to a boil while you make the embutidos. 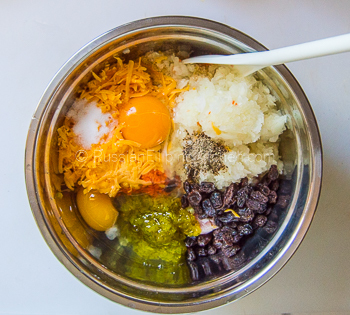 In a large mixing bowl, combine all the ingredients except the sausage/hotdogs and the boiled eggs. Lay flat aluminum wrap. It doesn’t matter which side up, but for personal preference I like the shiny side facing down. Divide meat mixture into 4 equal parts. 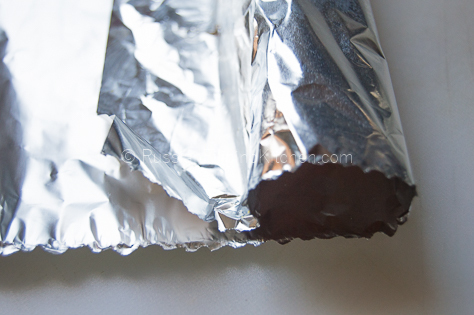 Scoop each portion onto the foil, spread, and press down with a spatula to flatten. 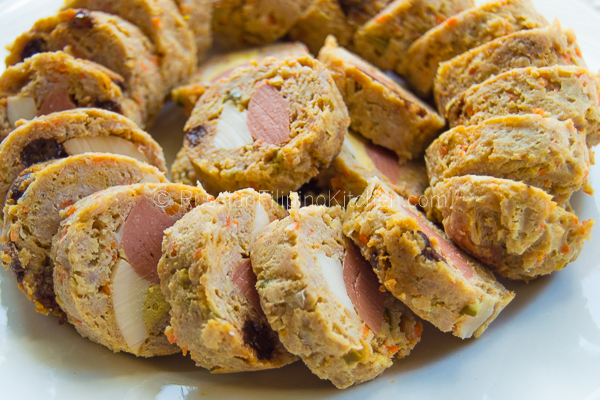 Arrange sausage/hotdogs and sliced boiled eggs on the center. 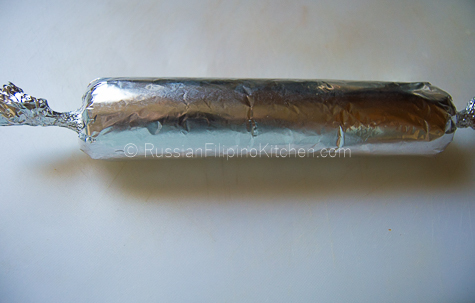 Use both hands to roll the foil away from you, tightening the roll as you go. Pinch both ends to seal. Repeat steps 3-6 until you’re done wrapping all the meat mixture. 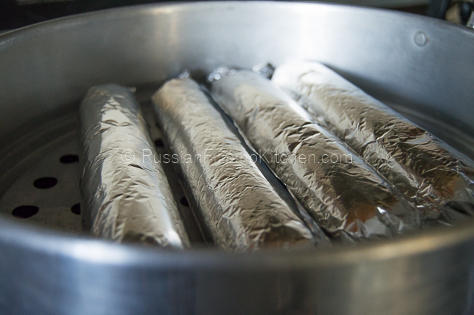 Arrange embutido rolls in the steamer and steam over medium heat for an hour. You’ll know it’s done when juices ran clear when you prick the rolls with the tip of a knife. Remove from steamer and allow to cool. Refrigerate for at least 2 hours (overnight much better) for easy slicing. Unwrap foil, slice to desired thickness, and serve with ketchup or your favorite dipping sauce. This recipe will yield 4 embutido rolls that are about 1 ½ inches in diameter. I will say this is good for 6-8 servings. Hope that helps.